I've just finished a picture to hang on my granddaughters bedroom wall. 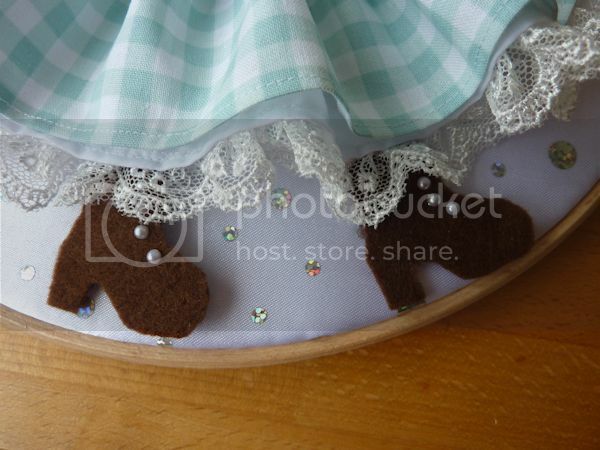 The gingham is scraps left over from her curtains. I love her posy and little boots. Oh Lesley, that is beautiful. She will treasure that! How wonderful, you are so talented. How did you do the posy? 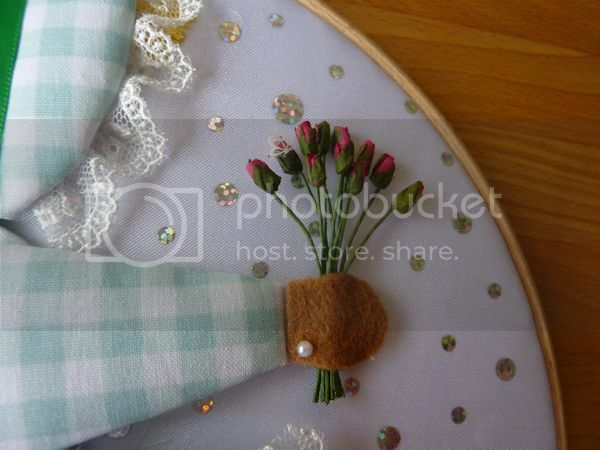 I made the posy from flowers that are sold for decorating brides things favours I'd imagine. It's in a 12" embroidery hoop. It is a lovely room and she loves it. 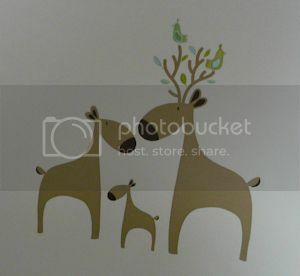 The wallpaper has a delightful deer motif. 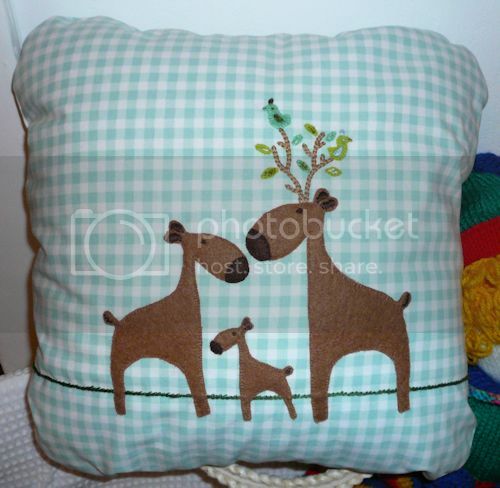 I copied it to make a cushion for her chair. One of the motifs on her wallpaper. They are about 5cm tall. wow Lesley - you really are talented! truly lovely things. I'd love to see other people's craft projects! 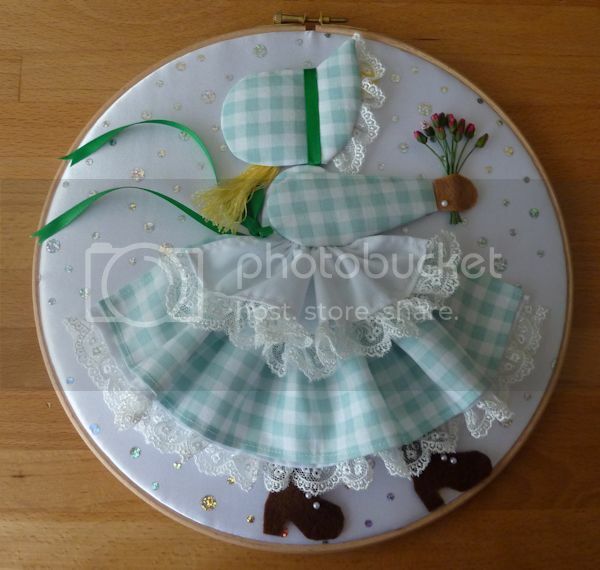 Just last night I was online looking for circular smocked bonnet patterns. Found one free but it's a bit fussier than I'd care for but suspect munchkin will end up getting it anyway And of course, I can't find a pic to send. But next year, munchkin will get this one. And the pansies here have also caught my eye. Just as well her quilt is almost finished.